How to Train Your Dragon: The Hidden World doesn’t quite fit with the previous two movies. Oh sure, it tells the continuing adventures of Hiccup, Toothless, the people of Berk, and it has more than its fair share of epic adventure and action. But with the trilogy reaching its inevitable end, writer/director Dean DeBlois has crafted a much more introspective film this time around. It forgoes some of the wonder and magic of the first two films so the characters grow up faster than we may want them to. And while that journey works on its own, it makes the film feel a little detached from the rest of the series. The Hidden World picks up a year after the events of How to Train Your Dragon 2. 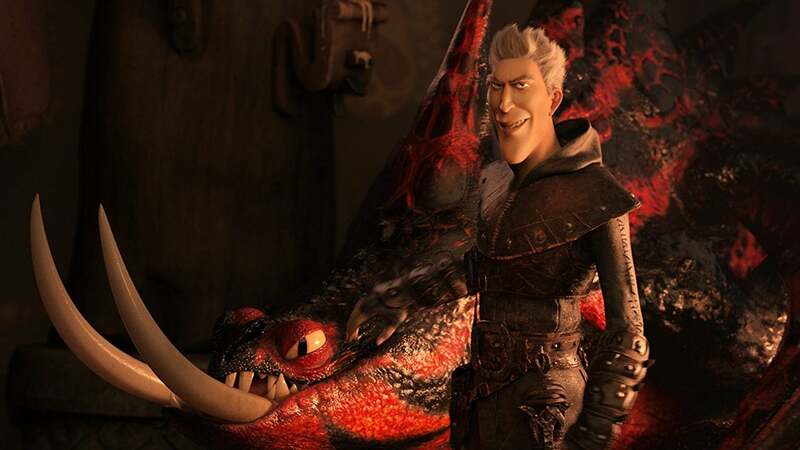 Hiccup (Jay Baruchel) is the Chief of Berk, his Night Fury dragon Toothless is the Alpha of all the dragons, and those dragons live harmoniously with the people of Berk. The problem is, Hiccup and his people love dragons a bit too much. They have so many of them, in fact, it’s making them a target, so the film is largely about figuring out what to do with all the creatures. Hiccup’s solution is to try and find a mythic Hidden World his father, Stoic (Gerard Butler), told him about as a boy. Enter Grimmel (F. Murray Abraham), a notorious dragon hunter and Night Fury killer hired to capture Toothless, thus freeing the dragons for others in the world to hunt. Grimmel believes dragons are an inferior race and should not be living with humans. He’s a character that’s all too real in today’s social climate, and the real-life implications of his ideology versus Hiccup’s are very clear. They’re also the first of many more mature ideas the film deals with. Grimmel and Hiccup showdown in some massive, massive set pieces which drive most of the film. As a result, Hiccup begins to question if he’s worthy of leading, especially without Toothless. That’s because Toothless is drifting away from Hiccup, thanks in part to a Light Fury, a female Night Fury, who appears and quickly steals his heart. Of everyone in The Hidden World, Toothless has arguably the most dynamic character arc. He goes from a free-wheeling young dragon to responsible, powerful leader very quickly, similar to what Hiccup did in the last film. But, on the way there, Toothless’ courting and wooing of the Light Fury feels slightly out of place. The scenes drag on for long stretches of time and blend humour with romance in ways that don’t quite land as either. 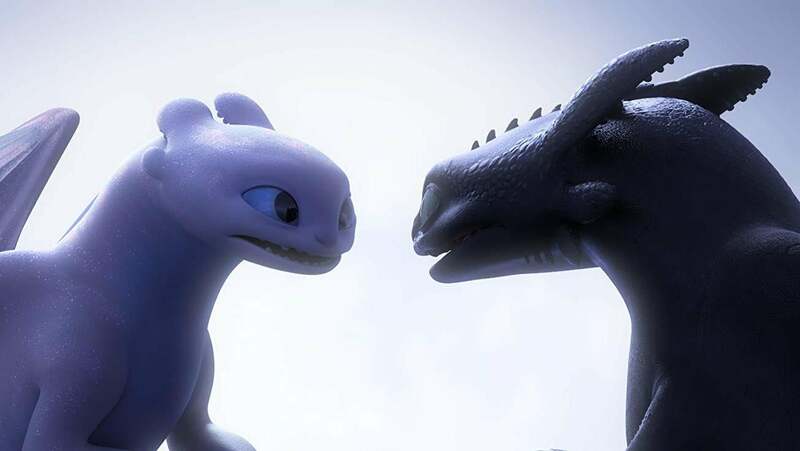 Plus, without spoiling it, there are plot insinuations surrounding the Light Fury’s appearance that never quite make sense, tainting the scenes a bit. Hiccups like this, pun intended, permeate the film. Supporting characters like Fishlegs (Christopher Mintz-Plasse), Snotlout (Jonah Hill), Ruffnut (Kristen Wiig), and Tuffnut (Justin Rupple, replacing TJ Miller), have much more fleshed out roles this time around, but they mostly work to distract from the main story. Astrid (America Ferrara) acts like little more than a cheerleader for most of the film and the traditional “This is Berk” bookends are different this time around. Even John Powell’s incredible, rousing musical themes are used sparingly, making the whole movie seem less about soaring and more about grounding. Which, of course, is the point. Long gone is the whimsical bliss of the first movie or the wide-eyed discovery of the second. The Hidden World has some of that, to be sure, but mostly it’s a fantasy about reality—about self-doubt, the world around us, and letting go of the past. These are heavy issues that are worth discussing and when viewed as part of the larger three-act story, they come together in an impactful, satisfying way. It’s damn near impossible not to get choked up when DeBlois gets to where he’s going here. However, things happen so quickly in The Hidden World, much of that emotion is almost drawn from lingering nostalgia from the first two movies, rather than what happens in this one. 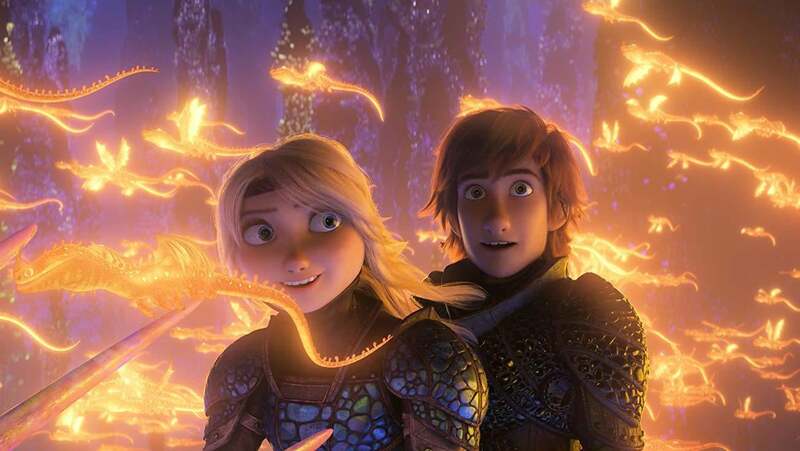 How to Train Your Dragon: The Hidden World is a movie that may have gotten ahead of itself, starting with an ending instead of a beginning. As a result, everything about it feels almost like it’s missing a chapter. Things are a little too serious. Move a little too quickly. Parts work, parts don’t, and ultimately it’s just an OK chapter in a great overall saga.